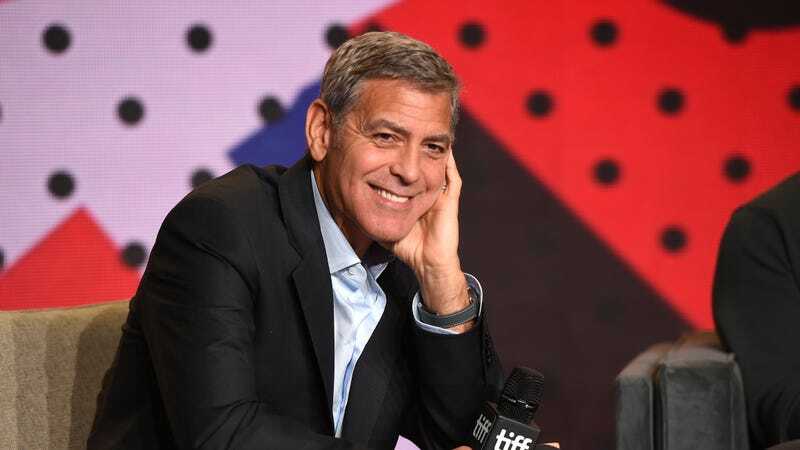 According to Variety, George Clooney is set to direct and star in a TV miniseries based on Joseph Heller’s 1961 novel Catch-22. The project will be a six-episode series from Paramount TV and Anonymous Content, and though it doesn’t have a home yet, the idea of Clooney returning to TV for his first regular role since E.R. will probably sound good to somebody out there. Or maybe America is just sick of Clooney, and nobody will care enough to see him on TV. Assuming someone does care (and assuming the show follows the plot of the book), Clooney will be playing Colonel Cathcart, the commanding officer of an Air Force squadron in World War II. Cathcart’s cruel routine involves consistently increasing the number of missions his men need to fly before they can go home, eventually pushing them so hard that they begin to go crazy. This is where the eponymous “Catch-22" comes in, which is a fictional rule that says anyone too crazy to fly doesn’t have to, but anyone who recognizes that they’re too crazy to fly is obviously sane enough to recognize how dangerous it would be and is therefore not crazy.